Pins recognizing each of these levels will be issued to those qualified. 100 Master Points are granted to entrants attending International Tournaments as a result of winning tournaments consisting of 100-200 entrants in their country of origin. * The number of Master Points may be increased for tournaments in which players must qualify to enter. i.e. Invitational Tournaments. * A new category of points is established effective March 12, 2011 for tournaments that are invitational and in effect limited to players of exceptional skill and/or accomplishments. 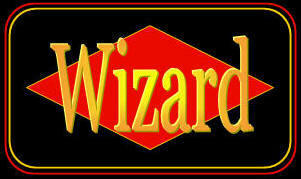 For example North American representatives at Invitational World Wizard tournaments. These points are known as "PULSAR Points". 1st receives points equal to the number in the tournament, 2nd No. in tourn less 5, 3rd No. in tourn. less 10. 1. It is permissible to use more than 1 username. However each username is treated as a separate entity. 2. It is not permissible to transfer Master Points from one user name to another even if both user names are the same person. 3. Retirement: A player may request that a username be permanently retired and replaced by a new username. 4. See Online Rules for more on aliases. 224	22	�Wizard of Oz����. 271	16	�D. Marie Pierce��..
312	11	�James De Oro���..
403	4	�Derek E Jester���..
223	22	�Wizard of Oz����. 270	16	�D. Marie Pierce��..
311	11	�James De Oro���..